An approx 10hr tour heading south of Quito, driving through the avenue of the volcanoes, passing by the towns of Latacunga and Pujili. You will then have the opportunity to visit the town of Tigua, famous for its naive paintings. We continue up to the Quilotoa volcano, where you will be able to descend to the lake located inside the crater. Prepare yourself to enjoy an unforgettable experience ascending but this time on top of a donkey!. We stop for lunch at the colonial hacienda . Return to Quito. Otavalo and Quito. 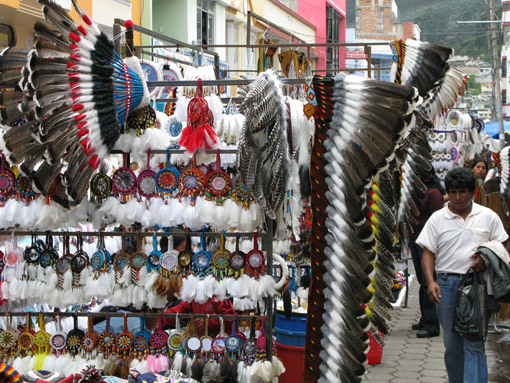 Travel through the lush highlands of Ecuador to an Andean valley to visit the world-famous Otavalo textile market. Bargain for colorful weavings and tapestries to forever remind you of this ancient culture. A local family performs a private weaving demonstration, showing how they preserve the traditional craft of their ancestors. Spend the night in a comfortable hacienda. On this fabulous Ecuador tour, you will visit small villages, meet expert craftsmen and visit Ecuador’s most beautiful lake. 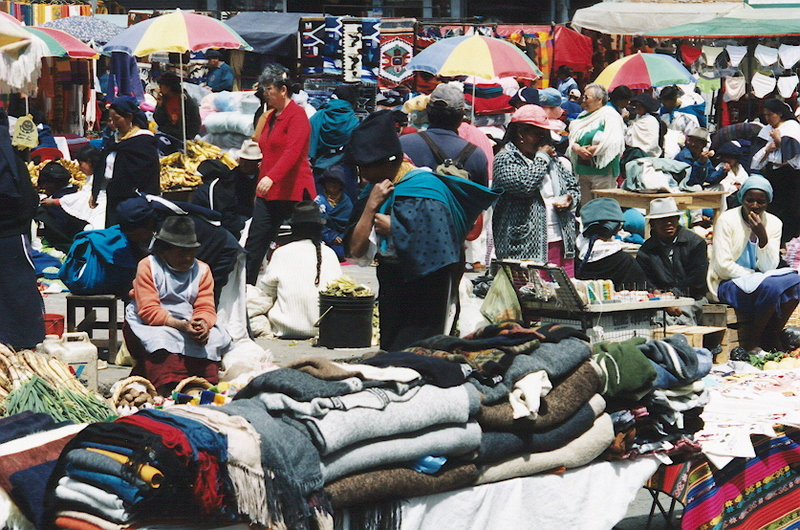 This is a market tour rich with Ecuadorian culture and stunning Andean scenery. Etiquetado ecuador, ecuador tours, otavalo market, otovalo market, quito, quito tours, travel ecuador.